Brisbane Times, the chance for Brisbane to become a world city relies on the G20. 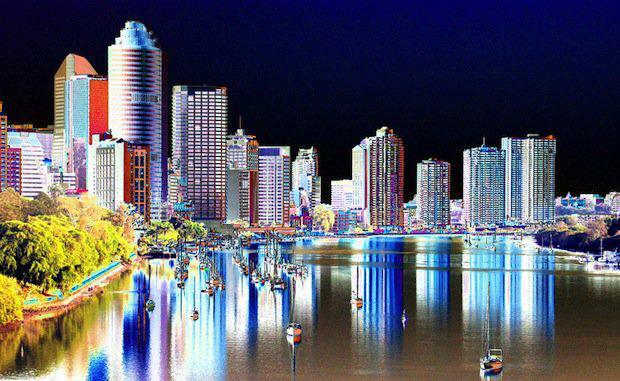 The Brisbane Times says that it’s up to every Brisbane citizen to ensure that the event goes off without a hitch and embracing any future events of a similar nature and in doing so, it will cement Brisbane as a New World City increasing tourism, trade, investment and profile. While the announcement of Brisbane being ‘hip’ may come as a surprise, not only to Brisbane locals, but locals from Melbourne and Sydney alike, it is a label that Lord Mayor Graham Quirk said is well deserved. "Brisbane is a New World City with an enviable sub-tropical climate, lively al-fresco dining scene, green spaces, world-class art galleries and premier events," Councillor Quirk said. "It's also time for Brisbane to shine with the G20, which will further skyrocket Brisbane's reputation as it becomes the capital of the world for a week. "While Brisbane has originally been seen as a stopover city before moving onto Melbourne or Sydney, it has slowly been working its way up onto being able to stand as a city on its own. General manager for Hilton Brisbane and former Hilton UK and Europe worker Martin Kendall, said that when he was asked to relocate to Brisbane, he was sceptical, but his views have changed as the city has flourished. "But in this last year and a half I can't express how much my perception of Brisbane has changed," Mr Kendall said. "But now the city is doing a great job in terms of creating attractions, events and opportunities that will keep people staying here. "There are some fantastic things going on so let's not worry too much about Sydney and Melbourne and focus instead on the fact that we're a city in our own right we should be proud of what we do." It is in large part, the pubs, clubs, eateries and architecture that Brisbane has to thank for the title, but Brisbane Marketing CEO John Aitken says that there is more to Brisbane than what initially meets the eye. Mr Aitken said Brisbane always relied on tourism, agriculture, resources and construction as the four pillars that held the city, and while he says these pillars are important, there is a brighter future ahead. “I support the four pillars, but we need to see what is next, and find a way to take those four pillars into the future with us,” he said. Being named the ‘hippest’ Australian city isn’t the only title Brisbane can put under the belt now, with the city being named one of the seven most liveable cities in the world. According to ICTE-UQ, Brisbane was the only Australian city that was named a finalist, and was recognised for its’ urban design, good governance and its innovation. The G20 runs through the second week of November and is expected to increase tourism to Brisbane and some surrounding areas. As Brisbane continues to grow and develop so will the population and popularity of Brisbane becoming a holiday destination.